Body sculpting or body contouring treatments have become remarkably popular nowadays owing to its non-invasive safe and effective means to eliminate stubborn cellulite from your body. The primary advantage of the body contouring techniques is in addition to shedding the excess fat it also helps you to achieve an ideal well-toned body structure. These treatments offer you visible results within a few days with very less recovery time. 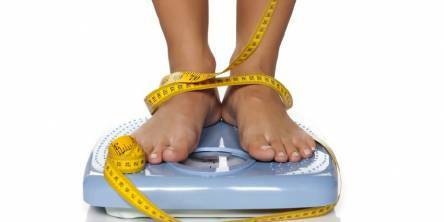 Unlike the weight loss surgeries here you can carry on with your regular lifestyle without any hindrance. Body sculpting treatments are completely non-invasive. Here the experts use laser beams to burn down your fat cells, or a chilling device to freeze your adipocyte cells and finally neutralise them. Unlike the weight loss surgeries here no incision is done on your body which makes the body contouring process painless procedure. Since the body contouring methods are non-invasive, there is no occurrence of bleeding or anesthesia related side-effects. There is also less chance of post-treatment infection or complication. Here, you do not have to be under the dose of strong antibiotics for a long duration. It is the best choice of treatment for those individuals who fear surgical procedures. Body contouring does not require any downtime or healing time. You can walk into the body contouring clinics, get your treatment done by the experts and walk out within a few hours of the procedure. There is no hospitalisation required in this treatment. You can head back to your regular daily routine on the very day of the treatment. On the contrary, in case of weight loss surgery you get admitted to a hospital, go through the surgical procedure and spend days in post-operative care. You cannot practice your daily routine work immediately after the surgery. One significant advantage of the body sculpting treatments is it helps to shape and tone your body. Since the weight loss is gradual in these treatments, your skin becomes smooth and tight after the removal of excess fat from your body. You do not experience any sagging skin or stretch marks after the body contouring process. However, in the case of weight loss surgeries, the bariatric surgeons remove a significant portion of fat from your body on a single day. It may cause shagging skin and unflattering shape in your body. In many cases, you need to undergo postoperative body sculpting treatment to remove the hanging skin or stubborn stretch marks from your body. The body contouring treatment can target the cellulite all over your body. It is a versatile technique where the experts can help you get rid of accumulated fat cells at different points with cool sculpting or radio frequency contouring. Your overall body appearance improves after the treatment sessions. Whereas, in case of weight loss surgery, the bariatric surgeons remove a massive portion of fat tissue from a particular region and your body looks disproportionate after the surgery. So, these were, in brief, the advantages of body sculpting treatments over weight loss surgeries. Summary: Body contouring treatments are revolutionary non-invasive ways to remove excess cellulite from the targeted areas all over your body. It can help you attain a well toned proportionate body structure which was difficult to achieve in spite of regular exercise and strict diet regime. The body sculpting procedures are safe, comfortable, and cost-effective options than the weight loss surgeries.